Being Frugal and Making It Work: Walgreens Free Photo Deal – Perfect for Father's Day! Walgreens Free Photo Deal – Perfect for Father's Day! 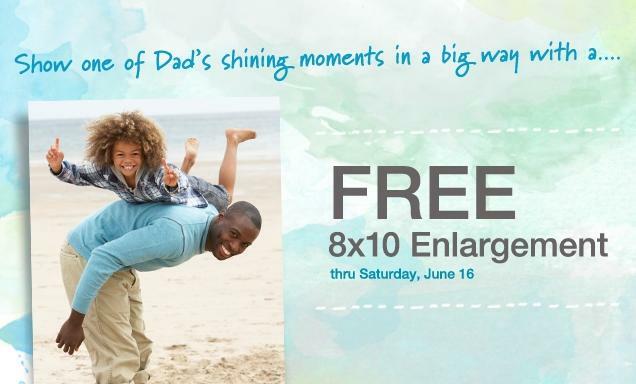 Tomorrow is Father's Day, so why not get Dad a free 8x10 photo from Walgreens! Today is the last day to get a free 8 x 10 at Walgreens, so don't delay!